Funnelling life experience into every song, Jack Runaway is a place of raw emotion that taps into childhood memories, current day happenings, and everything in between. Written on a plane as a distraction from a fear of flying, Ready To Know You is the perfect case in point; a heartfelt reflection on a breakup, delivered in a burst of jangling guitars and sing-along vocals. Recorded by Lance Robinson at Pavement Studios, the new EP is everything fans of the band have been waiting for, and the perfect introduction for everyone else. 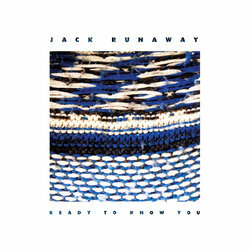 Written on a plane as a distraction from a fear of flying, 'Ready To Know You' is a heartfelt reflection on a breakup, delivered in a burst of jangling guitars and sing-along vocals. Funnelling life experience into every song, Jack Runaway is a place of raw emotion that taps into childhood memories, current day happenings, and everything in between.